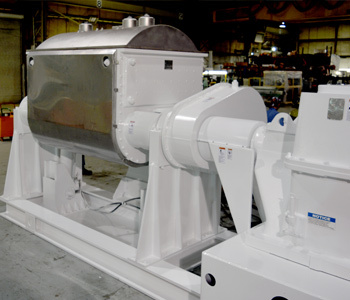 Paul O. Abbe® has designed and manufactured sigma blade mixers and mixer extruders for more than 100 years. We also repair and rebuild sigma blade mixers from 0.25 Gallons to 1,200 Gallons that are utilized in every industry from pharmaceutical and candy manufacturing to silicones and automotive adhesives. Our expertise also covers repairs across all major mixer manufacturers such as AMK, Baker Perkins, Guitard, BB&P Process, Battaggion, Charles Ross & Sons, Herman Linden, Jaygo, Littleford Day, Lleal, Magna Machine, Moriyama, NRM, Patterson Industries, Peerless, Reynolds Industries, and Winkworth Group. 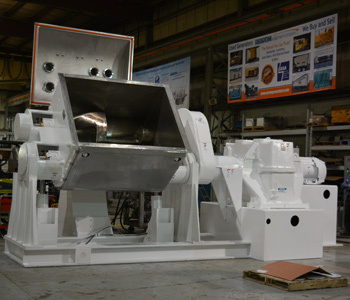 Our sigma blade mixer and mixer extruder rebuild process starts with discussions with the customer about the mixer’s history, performance and maintenance issues. Then, we discuss the current process and what updates or modifications the mixer may need. Typically modifications may include increasing the drives horsepower, changing the cover and seals to accommodate vacuum operation, high temperature seals, electrical controls and hydraulics. Repairs and design modifications are addressed in the rebuild proposal. 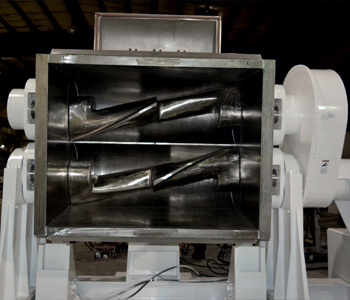 Once the sigma blade mixer or extruder is received in our shop, we make a visual inspection, remove piping and shrouds, and then steam clean the mixer. The mixer is then disassembled and each component examined. We perform ultrasonic thickness of the bowl, shaft runout and smoothness, dye penetrant test of the bowl blades, and any area that may have been stressed. We also test the heating/cooling jackets for leaks. A photographic record is maintained throughout the process and used in the detailed written report. Repairs are undertaken including shafts which can be machined, built up with chrome, re-sleeved or replaced. Bowls can be line bored and blades machined for a blade-to-bowl clearance of as little as 1 mm (0.040”) may be welded, blasted or polished. Bearing and seal replaced. Drives are rebuilt or updated to current drive technologies. Mixers are then reassembled, run for at least 6 hours, and temperatures of the drives and bearings are monitored and recorded. 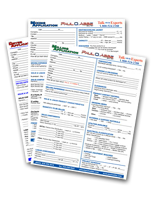 A factory Acceptance Test (FAT ) is performed for the customer or recorded for their approval and records. Call 630-350-3012 to speak to the Experts at Paul O. Abbe® and we can assist with answering any questions you may have regarding rebuilding your sigma blade mixer or mixer extruder repair!